You may remember claims a few weeks ago from Renewable UK, the lobby group for renewable energy, that onshore wind is now the cheapest form of new generation in Britain. The above are the expected costs for new plant commissioned in 2020, but based on 2014 prices. Even under the “High Tech and Gas price” scenario, the cost of CCGT is only £73/MWh, excl carbon costs. If we assume a central scenario, which is far more realistic, the cost falls to £55.50/MWh. By contrast, the central scenario for onshore wind is £84.50, which is in line with current CfD contracts. 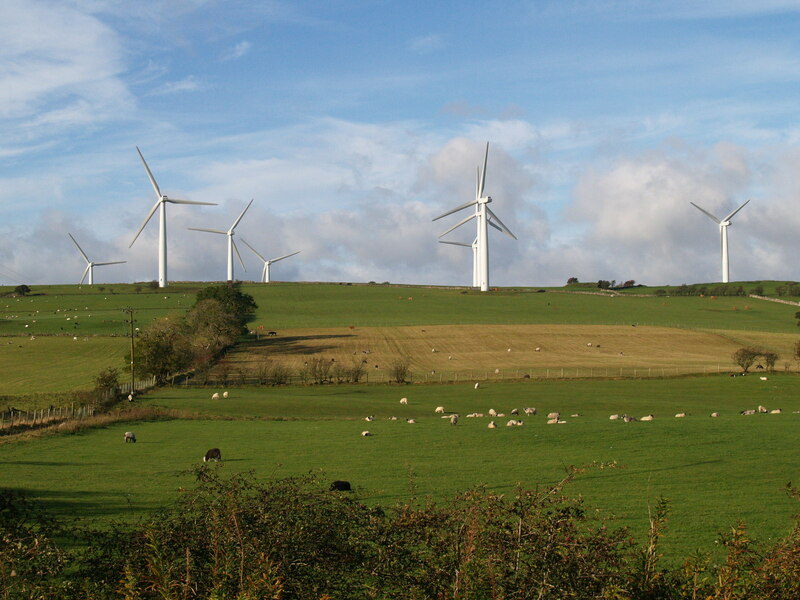 New/better technology MAY reduce wind power to £67/MWh by 2020, but that is not the case at the moment. If we fast forward to 2030, we find that little has changed. As I pointed out before, the trick employed by Renewable UK and other proponents is to add a carbon price onto the cost of CCGT. In order for onshore wind to appear competitive, a “Target Consistent” carbon price of £78/tonne needs to be charged by 2030, adding approximately £59/MWh to the price of gas generation, effectively doubling the cost. (The current market price for carbon is £18/tonne). Even then, wind power costs do not allow for the cost of providing standby capacity, which the CCC estimate at £10/MWh. It is worth looking in more detail at the gas price assumptions, which underpin the above numbers. Below is the chart from Figure 1.6, of Chapter 1 – Overview. Again, bear in mind these are at 2014 prices. The central scenario for 2015 was assumed to be 45 pence per therm. According to Catalyst Energy Solutions, who provide industry data, annual prices for gas are running at around 40 pence. All three scenarios predict that prices during the 2020s will rise above current levels. Nobody knows what the future holds, but, as I mentioned earlier, the central scenario does not appear to be unreasonable. But even under the high price option, CCGT still remains competitive with wind, not to mention solar and other low carbon alternatives. ← Green heat: could hydrogen solve the climate challenge of Britain’s reliance on gas? Yes Paul, but that is before the smoke and mirrors have been applied. APlanningEngineer and I did a guest post at Judy Curry’s CE some months ago called True Cost of Wind. (APE is a senior utility exec with a grid engineering background.) It exposed all the ‘cheats’ used by the US government’s EIA to ‘show’ onshore wind LCOE was competitive with Coal and CCGT. The cheats included a hidden carbon tax, incorrect plant lives, incorrect capacity factors, failure to account for intermittent wind backup, and failure to account for wind subsidies. Correctly calculated, wind was almost 3x CCGT: about $144/MWh versus about $58/MWh. I suspect the difference to CCC’s UK estimate is mainly the cost of natural gas fuel for CCGT; US prices are substantially lower than UK prices. Paul, as an exercise in showing true figures would it be possible to do a comparison WITHOUT taxes, tariffs, carbon-costs and other summary DECC BS included? You could show the pre-BS prices, thus showing the public what the REAL production costs are before added taxes are thrown in to distort prices. The distortions don’t just come from taxes. It’s also all the extra grid costs in linking wind to markets that are almost always left completely out of account. Roughly speaking, the investment in the grid is having to double in order to cater for the inappropriate location of wind farms relative to centres of demand – and that’s just for present levels of penetration. Put another way, grid charges are now close to half the delivered cost of power in domestic bills. Here’s a little bit of arithmetic which illustrates the problem. If the wind is producing less than half of the electricity of a combination wind-OCGT package then it is cheaper to shut down those wind turbines and go fully CCGT. That is because fast response open cycle gas turbines are only half as efficient as CCGT. So for the same amount of gas CCGT can produce twice the electricity with no difference in CO2 emission rates. This is simplistic of course as the backup generation mix is some open-cycle and some closed-cycle. But it does show the huge cost of the issue of intermittency. Like the old sailors say, “The wind is free, but everything else costs money” – lots and lots of it. The cost of wind power has probably been underestimated because the economic life of the turbines have been over-stated. The gap between stated prospective asset life and what will prove to be realized asset life will be greater for offshore turbines. Wind power has been around for a long time. Surely, the costs of maintenance and turbine life are known. Has anyone looked at this, or are the data kept secret? Yes. Some units are seeing operational lives of 12-15 years when design spec is typically 20. With extensive maintenance, some can reach 25. These are usually older smaller units. The principle problem is main bearing cracking. Inherent in differential windspeed with height; the bearing rollers are never evenly loaded. The bigger (taller) the turbine the worse the problem and the greater the cracking forces. If not detected and repaired, leads to catastrophic failure. Becomes an economic question whether the expensive bearing replacement (dismount blades, dismount nacelle, send back to factory) is worth it given remaining life. We had this information in the true cost of wind post. Five year crack justifies replacement. 15 year crack may not. The biggest typical onshore 2.5-3MW units have been around since about 2005, so information is accumulating rapidly now. There is quite a literature on wind turbine bearing issues, but when we wrote the post there were no obvious simple engineering solutions. “You can now get an alert for the daily DECC in the Media blog. At the risk of being a pedant, I must point out that this is completely artificial construct and bears no resemblance to anything remotely like a real market. Yes, the correct description is Osborne’s Carbon Floor Price tax. Meanwhile, back on the Natural Gas-University of Cincinnati Ranch, their much ballyhooed 2015 study “showing” that fracking caused pollution which could lead to cancer, had to be retracted. Oops, their data DID NOT show that afterall in the study which they put out w/in 3 months. However, the study showing no evidence for the hoped-for ground water contamination, has yet to be published after a year. As Alice would say, “curiouser and curiouser.” Or maybe not. “Homes should be fitted with French-style shutters or the number of premature deaths from heatwaves could triple, the government’s climate change advisory body says. The 2003 heatwave, when the temperature reached a record 38.5C in Kent, will become the norm in summer by the 2040s, according to the committee on climate change’s assessment of the risks to the UK from global warming. At 53 degrees North? Dream on. Whenever government legislates to force an economic outcome, the long term effect will be equal and opposite to that intended. Newton’s Law of Government Regulations.